유초등부 > 유초등부를 소개합니다! Welcome to the NLKC Sunday School! 유초등부를 소개합니다! Welcome to the NLKC Sunday School! 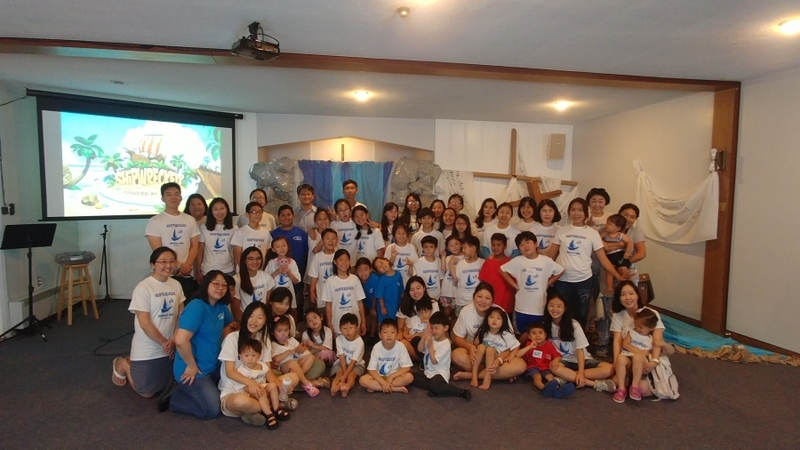 The New Light Korean Church Sunday School serves children from Nursery to 5th Grade. We meet at 11:30am on Sunday mornings – the same time as our Korean and English ministry services. At NLKC SS, we focus on Sunday worship and Bible study. We also have a number of special events, which include Christmas and Easter programs, Children’s Day and Summer Vacation Bible School. We have a dedicated group of teachers whose desire is for children to truly know and understand the love of God in their lives. It is our prayer that our children would grow in life and faith and shine the light of Jesus in this world. 새빛교회 유초등부는 유아부터 초등학교 5학년까지의 어린이들을 대상으로 섬깁니다. 저희는 한국어 및 영어 예배와 동일한 시간인 주일 아침 11시 30분에 모입니다. 새빛교회 유초등부는 주일 예배와 성경공부에 초점을 맞추고 있습니다. 그리고 성탄절과 부활절 프로그램, 어린이날 행사 및 여름 성경학교처럼 다양한 특별 행사들도 있습니다. 1. 하나님께 예배드리고 성경으로부터 진리를 배우는 것입니다. 2. 예수님 안에서 형제 자매들을 사랑하는 것입니다. 3. 가정과 공동체 안에서 하나님의 영광을 위해 살아가는 것입니다. 저희 유초등부에서 섬김으로 헌신하는 선생님들은 어린이들이 진실로 삶 속에서 하나님의 사랑을 알고 깨달을 수 있기를 소망하고 있습니다. 저희는 어린이들이 몸도 자라고 믿음도 자라나며 세상 속에서 예수님의 빛을 발할 수 있기를 기도하고 있습니다.